Some parents here seem to have caught the 'AK' virus. The symptoms? They go online to haggle over game cards featuring animal avatars like Bengal Tiger, Dark Scorpion and Brown Bear. Some have forked out more than $100 for highly sought-after cards traded online. 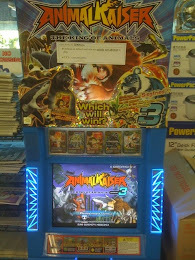 'AK' is Animal Kaiser, an arcade game that has caught the fancy of children, mostly primary school pupils. Many parents start out accompanying their kids to the arcades, then get hooked too. Others, eager to see their children win, log onto online forums to buy and trade cards, the more 'powerful' of which can give the player an edge. In Animal Kaiser, up to two players use their animal avatars to duel. First-timers do not get to choose their avatars. They get their first cards, randomly chosen, after that. Seasoned players begin by placing their animal cards on the gaming kiosk's barcode scanner. The animals have different numbers, with the stronger ones having higher scores. Powerful ones include Gold Lion and Gold Red Scorpion. There are also 'strong' and 'miracle' cards that can be mixed and matched to enhance one's attacking force or confer special powers, like hurling a meteor shower. Each session costs $2 and lasts from five to 10 minutes, depending on the duellers' strengths. After each game, a player gets a new card. 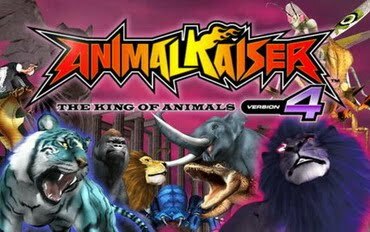 Animal Kaiser was introduced here in July 2008 by arcade operators Zone X, Timezone and TKA Amusement. Since June last year, the game can also be played at iEcon minimarts and 7-Eleven stores. There are now about 200 kiosks throughout Singapore. One parent, Mr Jack Ng, 40, recalled paying $180 for a 'rare' Gold Red Scorpion card in May last year. The civil servant bought the card from a seller on Zone X's online forum. The card has allowed his two sons, aged five and 10, to bag three championships in Animal Kaiser tournaments organised by Zone X throughout Singapore on Sundays. For the past year, Mr Ng and his sons have been visiting arcades every weekend. He claims the game develops analytical skills as 'the boys have to know which cards to mix and match for the best results'. Mr Ng has spent close to $4,000 to garner a collection of 300 Animal Kaiser cards, bought from people who advertised on Zone X's forum. Price lists for various avatar cards appear on forums. One seller, Mrs Wendy Ong, 39, said she managed to sell a 'gold lion' card for $80. She has spent a total of $100 on these cards since she started playing the game with her two sons, aged 13 and 10, about a year ago. The manager at a private school said she 'dislikes' the game but plays with her children to bond with them. Others are not sure if this is the way to bond. Dr Carol Balhetchet, director of youth services at Singapore Children's Society, said: 'Is our society so bored that we have nowhere to go? 'If adults, supposedly cognitively mature, can get addicted to computer games, how much more children?' She added that board games like Monopoly and Scrabble can create the same family bonding opportunity indoors. Admitting that there is a risk of addiction, Mrs Ong allows her sons to play once a week and only when they 'behave', and limits each session to just half an hour. On his part, Mr Ng lets his children go to the arcades only when they have done their homework. 'My aim is to balance study and play time,' he said.